Team Viewer App Review: Cool Ways To Maximise Remote Access | West Loh on Leverage, Automation and Outsourcing Strategies, 100% Free! « Sleep Cycle App Review: Strategies and Tips to Sleeping Deep Every Night! Hi. This is West and welcome to the TeamViewer iPhone app review. I’m excited to tell you today about TeamViewer. What this app allows me to do is it allows me to securely, remotely log in to any computer on the planet that has an internet connection. So just to give you an idea of the magnitude of this app, I’m going to talk you through some of its options, its features. And I’m going to teach you some of the ways that I use this app in order to really take full advantage of it. Because it certainly isn’t the cheapest app out there but it’s a very, very effective one and can return you many times over if done correctly. So this is the screen that comes up with when you first open the app. And it’ll ask you for a TeamViewer ID and a password. Now this is referring to your partner’s ID and password to initiate a session. 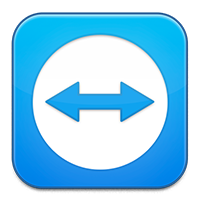 Now, TeamViewer on a PC or a Mac is free for a person to download. So once they have that software on their computer, you can then—through this app—type in their ID and password and be able to access their computer from your iPhone or iPad or whatever it is you have this app on, which is very, very cool. The other tab down here , RECENTS, allows you to see all the previous people and computers you connected to. If I jump to this side here , OPTIONS, it’s got a series of different options here teaching you how to use the app and a few more advanced security type options down the bottom here. If I tap on PARTNER LIST, what this has done is it allowed me to permanently connect up one of the computers at one of my properties. And I have that on and I refer to it from time to time when I need to do certain things when I’m on the go. So if I go ahead and tap on that, it’s called West’s Server. I’ll go ahead and tap on that and it tells me it’s online. And I’ll go ahead and connect to that computer. So, what TeamViewer is doing now is connecting to the computer, it’s authenticating. It’s gone through. And after giving me the instructions, I tap on CONTINUE and here, this app allows me to really effectively focus in on this app and I’m able to scroll by opening my two fingers and increasing their width. And that’ll increase the size of the screen just by moving my finger over, the screen automatically moves. If I tap on the screen, the cursor will start blinking and it will allow me to interact as if I was actually there. Now this is a Microsoft Word document that I just had open on the computer. And the beautiful thing about this app is it allows me to get full control of this machine as if I was actually there and using it. So if I tap on the KEYBOARD, tap down here, , the keyboard will come up. It’s got all the options of a keyboard: Ctrl, Alt, Esc, Backspace. So if I just type something in up here—“How cool is this app”—it just types it in for me pretty much in real time. Now by getting out, this obviously gives you a few different other options including all the ‘F’ keys, PrtSc, etcetera and you get even more by continuing to tap this KEYBOARD button with the plus (+). So you get full keyboard control. By exiting, we just eject that particular interface. The MOUSE button here is a right‑click. So it’s just the same as right‑clicking the mouse on your computer. And there are a few other options under the SETTINGS: Screen Resolution, quality of the screen, which affects your speed, etcetera, etcetera. Tap on that one, it allows us to remotely reboot. And this one obviously makes the screen smaller. So that’s it in a nutshell. It’s the tour of it and its interface. I’m going to go ahead and close this connection and tell you a little bit about how I use it, to get the most out of it. So the first way I use it is when I’m on holidays and I need to check in with one of my computers for a specific task, it might be to get a certain document or that computer might have a program that I want to use in some way, shape or form. Or if I want to log in to the home computer or the office computer, I can automatically do that with TeamViewer on my iPhone. They do need to be on, though, and they do need to have an internet connection. So you won’t be able to access them if they’re not on and if they don’t have an internet connection. Some people don’t like to do that. But then, in those instances, you won’t be able to use that. Remember, it’s free to download TeamViewer for your computers. You just have to pay for the app on the iPhone. Now I also like to use it for remotely logging in to help business partners, colleagues and mates that I have a vested interest in them getting a program to work or finding something. Obviously, with family members or friends, if they’re trying to find something or they’re trying to find a program or they’re trying to do a process that they don’t know how to do and they’re asking you, it’s much, much easier to just log in their computer and do it real quickly than it is to try to explain it to them. And I’ve used this recently in the past with helping someone recover a lost document and reformat a lost document. And it was just very, very painless, me doing it than having to try and explain to a non‑techie person. Another way I like to use it is to view someone else’s screen during a presentation. If they’re talking to me on the phone or they’re giving a presentation via Skype like an audio and they’d like the viewers to see the screen, then the easy way to be able to do that—there are other ways to do it as well—but this is just one use of TeamViewer. I also like to use it to check on tasks that I’ve left on my PC or my Mac doing while I’m away. So for example, rendering videos or uploading videos on to YouTube, I like to leave them, let them do what they do. The software takes quite a while to render the videos. And every now and then, I’ll check in with TeamViewer to actually upload the next video or do some edits or I have to type in some keywords and upload it to a certain site…that can all be easily done through Team Viewer. The other day I was shopping. I had a series of videos I had to upload. I was at the shopping center and I was paying the checkout person and logging into my phone and uploading the next video at the same time. So by the time I got home, it was already done. I didn’t have to wait. So it saves me a hell of a lot of time doing cool things without having to wait when I can do them remotely. And one final cool way that I like to use TeamViewer is with virtual staff. Now, obviously if they’re technical they won’t need your technical experience. But as an accountability tool, I get their TeamViewer ID and password and I put it in there as a permanent partner. And during the hours that they’re working for me, I let them know that I could log in at any time to check on what they’re doing. So they’re always on their toes. They don’t waste time. They’re always focused and super, super productive. And that’s a really cool way that I found to use this. And I could check on them anytime from my computer if I’m at home or if I’m out, I can check on them using my iPhone. Now obviously, I’m not going to start taking over their mouse and start doing stuff on their computer, but as an accountability tool, just to log in and check what’s on their screen is a really good way to use this app. Obviously, there are other ways to do that as well but this is one use of TeamViewer that I found to be extremely effective. So I hope you got some things out of those tips there. It would be absolutely unbelievable on the iPad with a much bigger screen. On the iPhone it’s still pretty awesome. But on the iPad, it will be excellent. I mean the only downside to this app is its price. It’s very highly priced. But if you know what you’re using it for and if you know that you’ll get a return, then it’s an absolute no‑brainer. And I’ve tried LogMeIn as well as an app. And this absolutely smashes LogMeIn in terms of speed, graphics. A winner, hands down. So you don’t even want to waste your time with that one. You want to head to TeamViewer. Overall, I give it a 93%. I’m still amazed when I do this, how they managed to create an app that allows you to securely do this, how fast it is, how much thought they put into the interface and how easy they’ve made it to control a computer to do whatever you want. And I just wouldn’t use any other app for this type of activity. So I hope you enjoyed the app review. Get it, use it, enjoy it. Use it to leverage your time and I’ll see you in the next video.